Tag Archives: buy the book! 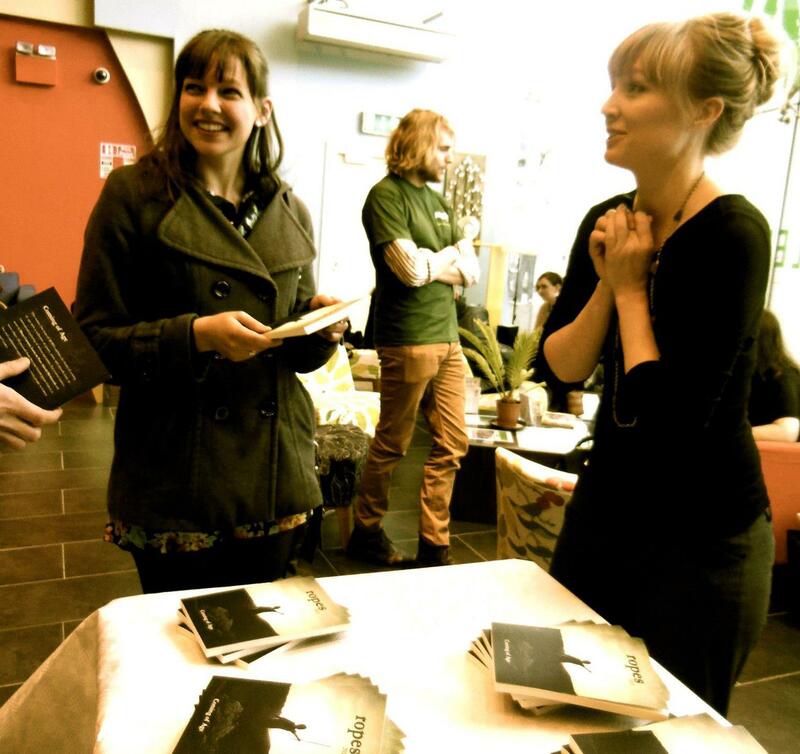 Me, begging someone to buy our book, with two of our poets standing nearby. The book is available online at WordPress and Facebook… and now at the Charlie Byrne’s pop-up shop in the Town Hall Theatre! 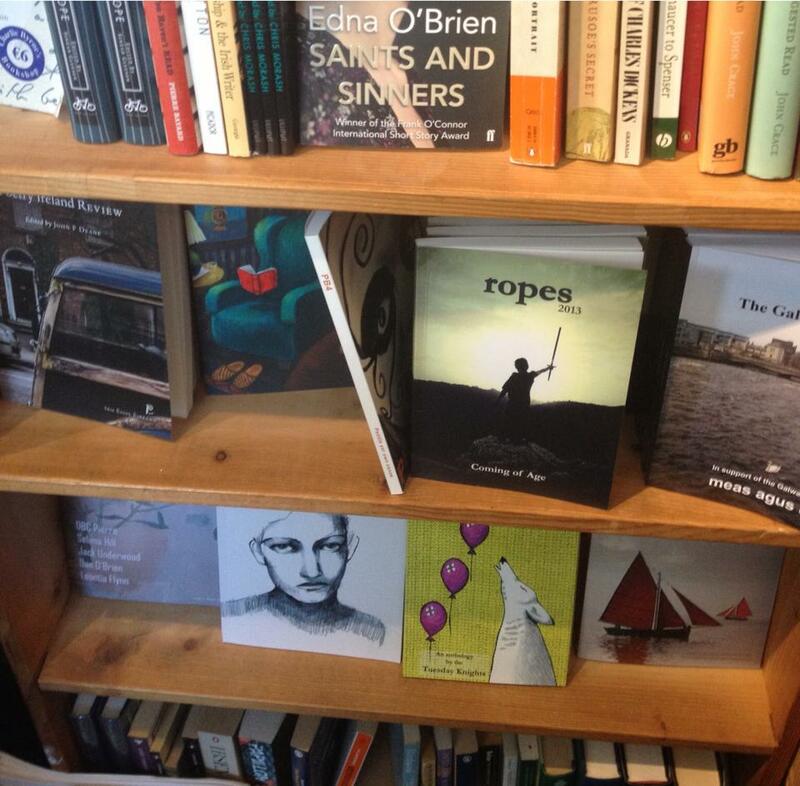 On the shelves at the Charlie Byrne’s Cúirt Bookshop. Once the festival is over, we should be stocked in most Galway bookstores. 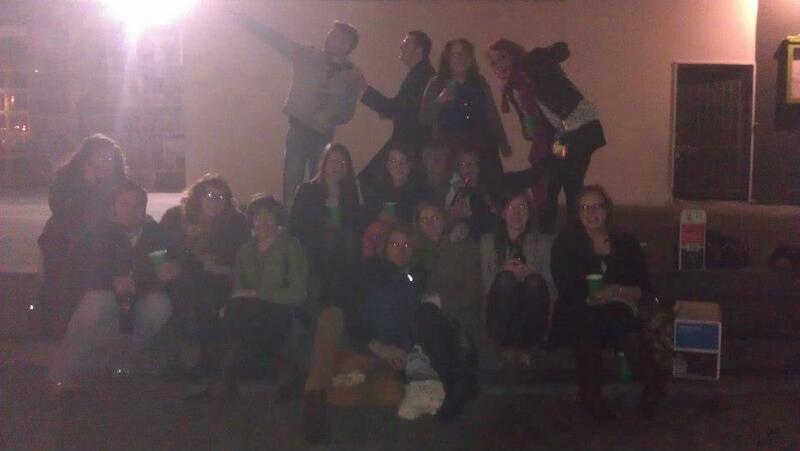 Winos at the Spanish Arch, a Galway rite of passage. We have a similar ritual in Texas, only it involves pastures, tailgates, and Boone’s Farm.